New research suggests talking about personal interests helps reduce agitation and aggression in those living with the incurable condition. It comes as alarming statistics reveal most care home residents enjoy as little 120 seconds of social interaction each day. 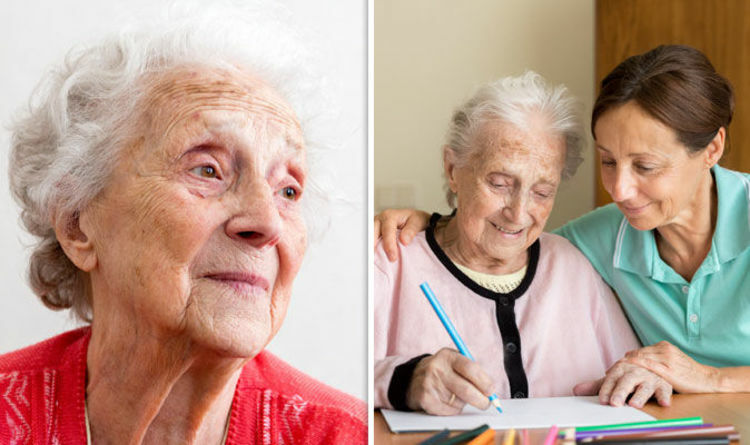 The research, led by the University of Exeter, King’s College, London, and Oxford Health NHS Foundation Trust, is the latest to lay bare the devastating impact of isolation in the elderly. Professor Clive Ballard, of the University of Exeter Medical School, said: “While many care homes are excellent, standards still vary hugely. The study involved more than 800 people with dementia across 69 care homes in London and Buckinghamshire. It is the largest trial in people with dementia living in care homes to date. Two care champions at each home were trained to talk to residents about their interests and decisions around their own care. Researchers found that combined with just one hour a week of social interaction, it improved quality of life and reduced distress. The approach also saved money compared to standard care. Experts now want to see the programme rolled out in all 28,000 care homes in the UK to benefit the lives of the 300,000 people living with dementia in these facilities. Dr Jane Fossey, from the Oxford Health NHS Foundation Trust, said: “Taking a person-centred approach is about getting to know each resident as an individual - their interests and preferences - and reflecting these in all aspects of care. Last month Tory MP Tracey Crouch was made the Government’s new Minister for Loneliness to combat the growing problem of isolation among Britain’s elderly. And yesterday <> The Silver Line, Britain’s only free, 24-hour, helpline for lonely and isolated older people, revealed that December was the busiest month in its history. The charity, set up by veteran TV presenter and older people’s champion Esther Rantzen, received 47,318 calls – a 10 per cent rise on the same time in 2016 – with the majority coming between Christmas Eve and New Year’s Day.